The World’s Largest Online Video Conference to be Held in Anaheim, California, in June 2016; YouTube CEO Susan Wojcicki Leads All-Star Industry Track Line-up. VidCon (vidcon.com), the world’s largest online video conference for fans, creatives and industry professionals, today announced featured speakers and panelists for the 2016 event, taking place June 23rd - June 25th at the Anaheim Convention Center in Anaheim, California. The annual three-day conference will connect more than 400 of the most innovative and influential online video creators with over 30,000 attendees for performances, workshops, discussions and networking. Additionally, the industry track alone features more than 100 online video experts and innovators sharing their insight and expertise in how to build sustainable communities, channels and franchises. 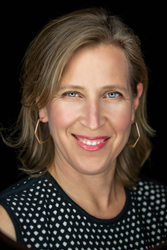 Susan Wojcicki, CEO of YouTube, returns as this year's headline keynote speaker. Other top speakers include Brian Robbins, CEO of Awesomeness TV, Jens Christensen, CEO of JauntVR, Sarah Harden, President of Otter Media, and Sean Atkins, President of MTV. This year's industry track features 16 fireside chats with industry executives, and 18 one-on-one conversations with top innovators from leading studios, production companies, and technology platforms. "This is shaping up to be the best and most insightful Industry Track ever," said Jim Louderback, Editorial Director of VidCon's Industry Track. "As the online and offline video worlds overlap and mix together, we're spotlighting the leaders of today AND tomorrow to give attendees a much clearer look into where the opportunities are now - and will be in the future." The current lineup of speakers can be found on the VidCon website at vidcon.com/industry and tickets can be purchased at vidcon.com/registration. A complete list of Industry Track panels and keynotes will be announced in the coming months. Though specific programming and special guests will be announced in upcoming months, VidCon experiences record ticket sales each year and routinely sells out. Anyone planning to attend is encouraged to register as soon as possible. Tickets can be purchased now at vidcon.com/registration.